The postie didn't have to knock twice! Hellooooo there and happy what ever the day is to you. I've lost track of where we are this week, so much has been going on. 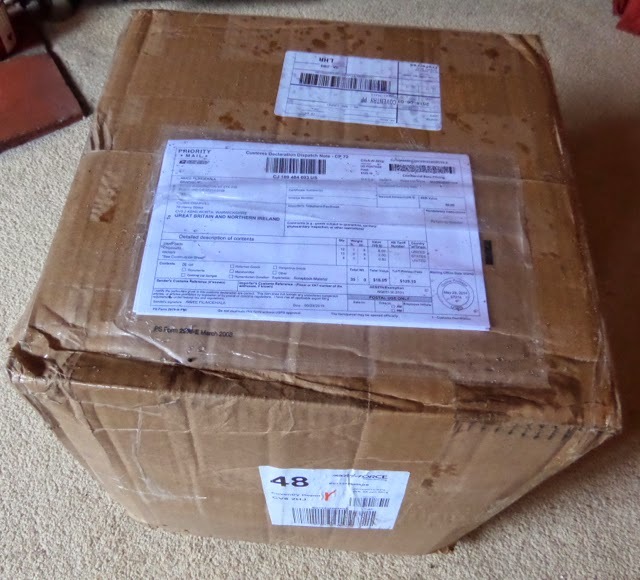 The knock at the door I'd been waiting for came yesterday and the poor postie had a job to lift the not so little box that he had over the doorstep. Shipped all the way from Portland, US the home of Graphic 45 and jam packed with oodles of G45 love from Diane, Charee and the team. Squeal Squeal. Huge thanks to you all for such an amazing box of goodies. I've been asked lots over the past few weeks what being an Ambassador for Graphic 45 involves. After swooning over all the fabulous products, and making three intro projects we carry on teaching and educating, make one project for G45 with every new collection over the year, and enjoy paper crafting and sharing inspiration with all the goodies we have at our fingertips. I'm so looking forward to the year ahead. Just for once I've been amazingly good and put everything back in the box for today, and gone back to my already far too long to do list of things that have to be done before the weekend. If I get a real wiggle on I may get them out again tomorrow…..if only to stroke them lol!!! wow Clare that is stunning it looks fabulous you lucky girl. have a lot of fun with. Oh boy won't you have fun over the next few days/weeks/months!!!!!! I know you will come up with fab projects!!! Take care. I would have fainted dead away from the sheer deliciousness of it! Hi Claire, these new Graphic 45 collections look absolutely amazing and I can't wait to see what fabulous new projects you come up with using them. Thanks for sharing and I hope you enjoy the rest of your evening. Thanks for sharing Claire. Can't wait to see what you make with them. Your project are always so inspirational and make me want to drop whatever I had planned and head straight to my craft room! Evening Clare, O M G !!!!! 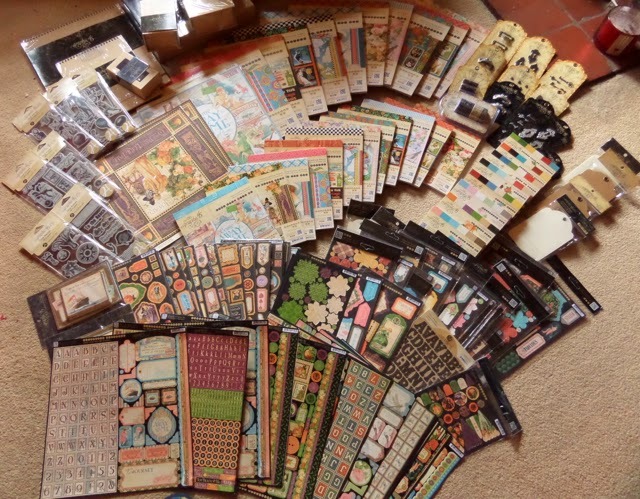 just look at the 'plethora' of goodies here, no wonder you are squealing with delight, I am looking forward to all the fabulous projects you will be creating and sharing with us all. I'm off to watch your vids now, enjoy your evening. WOW! WOW, and WOW AGAIN. You must have had so much fun opening that parcel. Now I really am jealous. Imagine being surrounded by all that loveliness.